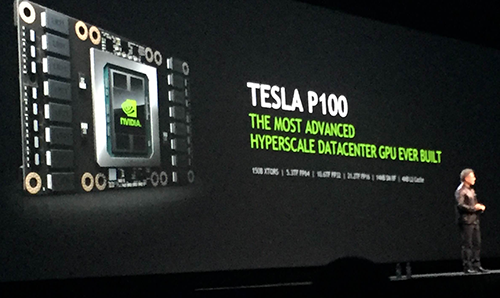 NVIDIA unveiled its most advanced accelerator to date -- the Tesla P100 -- based on Pascal architecture and composed of an array of Graphics Processing Clusters (GPCs), Streaming Multiprocessors (SMs), and memory controllers. The Tesla P100, which is implemented in 16nm FinFET on a massive 610mm2die, enables a new class of servers that can deliver the performance of hundreds of CPU server nodes. 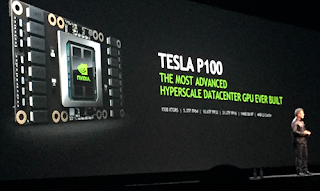 NVIDIA Pascal architecture for exponential performance leap -- a Pascal-based Tesla P100 solution delivers over a 12x increase in neural network training performance compared with a previous-generation NVIDIA Maxwell-based solution. NVIDIA NVLink for maximum application scalability -- The NVIDIA NVLink high-speed GPU interconnect scales applications across multiple GPUs, delivering a 5x acceleration in bandwidth compared to today's best-in-class solution. Up to eight Tesla P100 GPUs can be interconnected with NVLink to maximize application performance in a single node, and IBM has implemented NVLink on its POWER8 CPUs for fast CPU-to-GPU communication. 16nm FinFET for unprecedented energy efficiency -- with 15.3 billion transistors built on 16 nanometer FinFET fabrication technology, the Pascal GPU is the world's largest FinFET chip ever built. CoWoS with HBM2 for big data workloads -- the Pascal architecture unifies processor and data into a single package to deliver unprecedented compute efficiency. An innovative approach to memory design, Chip on Wafer on Substrate (CoWoS) with HBM2, provides a 3x boost in memory bandwidth performance, or 720GB/sec, compared to the Maxwell architecture. New AI algorithms for peak performance -- new half-precision instructions deliver more than 21 teraflops of peak performance for deep learning. At its GPU Technology conference in San Jose, Nvidia also unveiled its DGX-1 Deep Learning supercomputer. It is a turnkey system that integrates eight Tesla P100 GPU accelerators, delivering the equivalent throughput of 250 x86 servers. "Artificial intelligence is the most far-reaching technological advancement in our lifetime," said Jen-Hsun Huang, CEO and co-founder of NVIDIA. "It changes every industry, every company, everything. It will open up markets to benefit everyone. Data scientists and AI researchers today spend far too much time on home-brewed high performance computing solutions. The DGX-1 is easy to deploy and was created for one purpose: to unlock the powers of superhuman capabilities and apply them to problems that were once unsolvable." "NVIDIA GPU is accelerating progress in AI. As neural nets become larger and larger, we not only need faster GPUs with larger and faster memory, but also much faster GPU-to-GPU communication, as well as hardware that can take advantage of reduced-precision arithmetic. This is precisely what Pascal delivers," said Yann LeCun, director of AI Research at Facebook. Ericsson agreed to acquire NodePrime, a start-up offering a hyperscale data center management platform. The company is based in San Francisco. Financial terms were not disclosed. 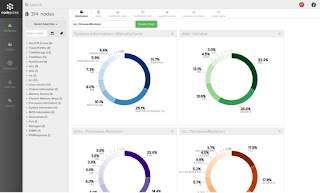 NodePrime's mission is to enable companies to centrally view, diagnose and control their IT infrastructure in minutes using tools similar to those used by Google and Facebook. The idea is to fix the current siloed approach to machine data collection and automation, by allowing systems administrators to rapidly reduce the amount of time spent provisioning and managing the lifecycle of data centers. It provides a full stack of data, tools and APIs across disparate platform and hardware vendors. NodePrime is integrated into the Ericsson Hyperscale Datacenter System 8000. The software enables discovery, analysis and automated configuration of existing and new datacenter hardware platforms. This allows datacenters to become hyperscale and adopt distributed infrastructure. Ericsson said that by acquiring Nodeprime's competence, it will reduce sourcing risk and secure control of roadmap direction and acceleration. James Malachowski, co-founder and CEO of NodePrime said: "Our vision from the start was to transform the infrastructure into a single entity where it's entirely possible to grasp the management of hyperscale data center infrastructure through the collection of trillions of associated metrics inside one view. Anders Lindblad, Vice President, Head of Business Unit Cloud & IP said: "We at Ericsson continue to accelerate the creation of the software defined datacenter market, to benefit our customers. NodePrime has unique talent and was a clear choice to bring inside Ericsson. We believe in innovation coming from the Silicon Valley area and will continue to increase our presence and distribution of such innovation"
In October 2015, NodePrime announced $7 million in seed funding. Investors included Menlo Ventures, NEA, Formation 8, Ericsson, Initialized Capital, Crosslink Capital and TEEC Angel Fund. NodePrime said SAP, Ericsson and GoDaddy were already using its platform. Mr. Zhao Xianming was elected as the Chairman of ZTE and Mr. Zhang Jianheng and Mr. Luan Jubao were elected as the Vice Chairmen. The company also announced the appointment of Mr. Zhu Wuxiang, Mr. Luan Jubao, Mr. Shi Lirong, Mr. Wang Yawen, Mr. Richard Xike Zhang, Mr. Lü Hongbing and Mr. Bingsheng Teng as members of the Board's Nomination Committee. 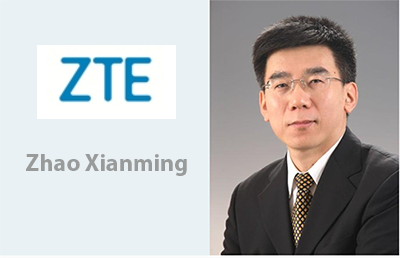 Mr. Zhao Xianming was also appointed the President of ZTE. Mr. Wei Zaisheng, Mr. Fan Qingfeng, Mr. Zeng Xuezhong Mr. Xu Huijun, Mr. Pang Shengqing, Mr. Zhang Zhenhui and Mr. Chen Jianzhou were appointed Executive Vice Presidents of the company. Mr. Wei Zaisheng was appointed Chief Financial Officer and Ms. Cao Wei was appointed Secretary to the Board of Directors. 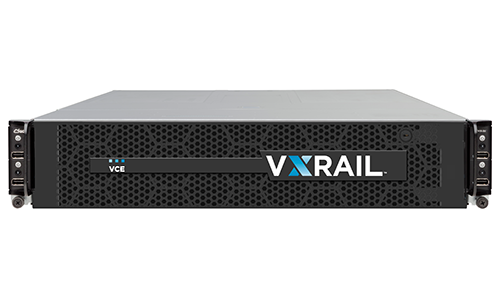 Dell expanded its portfolio of hyper-converged infrastructure products, combining storage, compute and networking functions into a single solution or appliance, typically for virtualized environments. 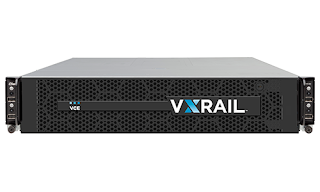 New additions include VCE VxRail appliances and VxRack systems, Dell XC Series hyper-converged appliances, and VMware Virtual SAN Ready Nodes based on Dell PowerEdge servers. "Dell’s hyper-converged infrastructure approach is consistent with our overall philosophy, which focuses on enabling customer outcomes versus pushing a one-size-fits-all agenda," said Marius Haas, chief commercial officer and president, Enterprise Solutions, Dell. 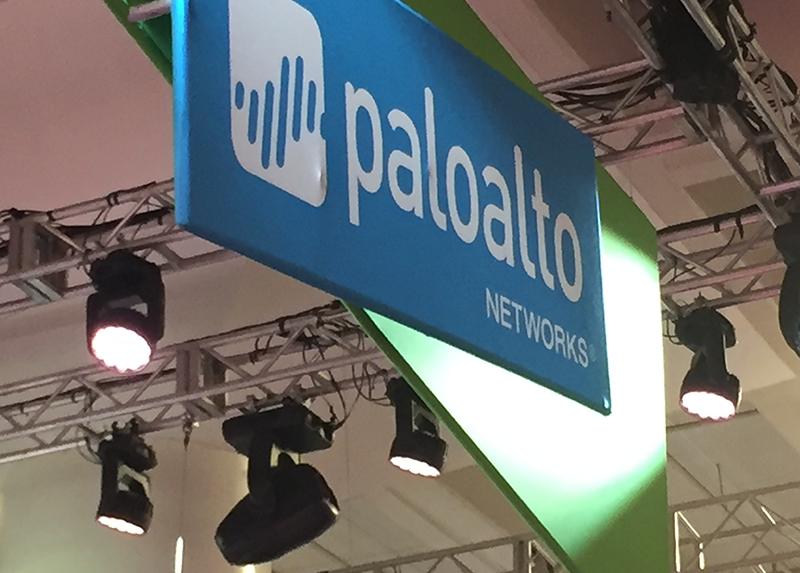 The latest version of Palo Alto Networks' PAN-OS adds important breach prevention capabilities of the platform and addresses the security needs of businesses working with cloud-based environments and software-as-a-service (SaaS) applications. Specifically, PAN-OS 7.1, extends the breach prevention capabilities of the security platform to all major clouds and provides visibility, control, and threat prevention designed to protect customer data regardless of where it resides. Additionally, among the new features are certificate and two-factor authentication advancements that help protect user credentials or neutralize them if they are stolen. Secure Any Cloud – By adding Microsoft Azure and Hyper-V support for the Palo Alto Networks VM-Series and by enhancing VM-Series auto-scaling support in AWS, organizations can achieve a scalable security architecture that enables consistent prevention measures to be deployed from the network, to the public and private cloud, and to the remote user. Embrace SaaS – With the release of PAN-OS 7.1 and the newest update to Aperture, Palo Alto Networks adds to its extensive SaaS application capabilities to safely enable Office 365 deployments. 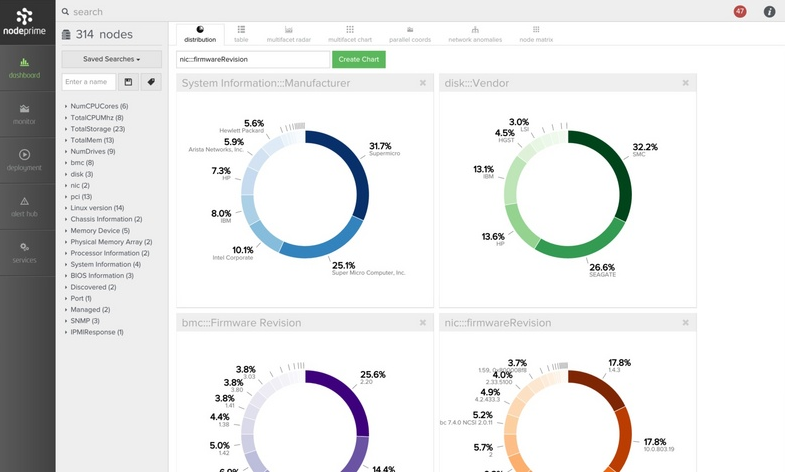 Accelerate Preventative Action With Threat Intelligence – With new capabilities supported in the WildFire threat prevention and AutoFocus threat intelligence services, and PAN-OS, organizations can discover zero-day malware targeting the Mac OS X platform and prevent attacks with the global WildFire feed, now published every five minutes. PAN-OS 7.1 now fully supports Mac OS X signatures and the ability to send Mac OS X files to the cloud. AutoFocus now can add context to every attack and make threat intelligence actionable across the organization. Prevent Breaches With Secure User Credentials – By streamlining the user experience associated with two-factor authentication in GlobalProtect mobile security, organizations can neutralize stolen user credentials. Additionally, enhancements to WildFire and PAN-DB help prevent identity theft from happening in the first place by stopping known and unknown attacks and preventing phishing attempts. NEC is beginning construction of the South Atlantic Cable System (SACS), the first subsea fiber optic cable system ever to connect Africa and South America in the southern hemisphere. SACS will span 6,200 km across the South Atlantic, connecting Luanda, Angola and Fortaleza, Brazil. From Fortaleza, SACS can be connected to another cable system which stretches to Miami Florida. The system will have an initial design capacity of 40 Tpbs (100Gbps x 100 wavelengths x 4 fiber pairs). It will also employ an SDN control plane. Commissioning is expected in the middle of 2018. SACS is expected to cost $160 million and will be partially co-funded by the Japan Bank for International Cooperation (JBIC) and Sumitomo Mitsui Banking Corporation (SMBC) with the support of Nippon Export and Investment Insurance (NEXI) through the Banco de Desenvolvimento de Angola (BDA). "Our main objective is to improve the quality of communications between Africa and the Americas, creating a totally new route in the south hemisphere, providing term and peak capacity product offerings and support for the region's expanding data requirements of today and for tomorrow," says Antonio Nunes, CEO of Angola Cables. "SACS will be constructed using state-of-the-art technology, with 100G-coherent design for low latency, reliable delivery for even the most demanding bandwidth needs and direct data centre to data centre connectivity across the Atlantic." Data Center Group (DCG) - includes platforms designed for enterprise, cloud, communications infrastructure, and technical computing segments.